The FR Berry Reserve is a natural bush reserve a perfect distance for a day trip to Perth. 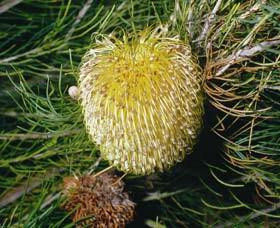 It has become more popular in recent years due to its unspoilt bushland values. Several vegetation communities exist at FR Berry Reserve including Jarrah, Marri, and Wandoo, Woodlands, Melaleuca (Paperbark), fringed creek lines and granite outcrops containing a great diversity of species. The reserve is also home to several specials of rare and priority flora, some of which are unique to this place and do not occur anywhere else in Western Australia, or the world for that matter. The vegetation communities also provide valuable habitat for a wonderful variety of our Western Australian fauna, such as Honey Possum, Mado, Gould's Monitor, Bobtails, Western Green Tree Frog, Weebill, Splendid Fairy Wren and the endangered Carnaby's Cockatoo. Along the walk trail are photos of some of these fauna specials that you may be fortunate enough to see on your walk.